The utility of blockchain technology is undisputed, there are enough real life examples to vouch for that. But just how big should a blockchain project be to become economically feasible. We need to technically understand the difference, between a conventional server-client based network and the structure of blockchain. Conventional networks consist of a server with several clients connected to it. Information is stored on the server and login validations are done through simple but encrypted login details. Such networks are generally accessed from within the organization. When geographical distances are involved, LANs and WANs help to keep all clients connected to the main network. A blockchain on the other hand, consists of numerous nodes which might be defined as servers. The nodes could be widely scattered but, there is something that clearly differentiates them from conventional server-client layouts. In the case of a blockchain, all the nodes get simultaneously updated when any data is added to the platform. Since information is actually stored on each node, you could strictly not classify the nodes as clients. This layout means a lot in terms of security, any intrusion that takes place would need to tamper or alter existing information on every single node. This is the reason why blockchains are often referred to as being ‘hack proof’. While there is no 100% security on any network old or new, the blockchain offers much better security as compared to a conventional server-client based network. So should every company consider revamping its network and going the blockchain way – the answer is ‘No’. In the case where a single company needs to have a network configuration, either in one geographical location on as scattered points, the conventional network would be economical and manageable. Blockchains are suited to expansive applications, these could be related to business or even government applications. A government for example, could set up a massive blockchain to handle health related policies. Each state owned hospital could participate in the blockchain, patient information, medical records and even the vacancy for in patient treatment, could all be put on this single blockchain. When you talk about business applications for blockchain technology, you would aim to develop a project that benefits an entire industry. It is possible to go one step further and include associated services used by the industry on the same blockchain. An industry specific blockchain is not easy to execute. It would require comprehensive knowledge about industry and its practices. The project would also call for technical expertise in networks, blockchains, possibly crypto currencies and online security. And to go that extra mile, here is what a comprehensive industry level blockchain could include. An industry that utilizes raw materials, performs a manufacturing activity and delivers complete products, would require ancillary services like transport, insurance etc. These additional services are generally provided by third parties. The blockchain designed for the industry could, bring these third party services on the same platform. It is possible for such expansion to be completed in phases. The GLITZKOIN diamond blockchain project is a great example of how, an industry specific blockchain project should be planned and executed. Drawing on its experience in the diamond industry, the team had first studied the inefficiencies and problems in the existing practices. Blockchain experts with vast experience in this new technologies were brought onboard. The project also includes a crypto currency, this to ease currency related issues and expensive bank charges, that global bank buyers and sellers often face. A gigantic blockchain based diamond trading platform, will allow both big and small diamond sellers to list their diamonds. Buyers from any point on the globe, will be able to make a purchase and interact directly with seller. There will be no middlemen and brokers in the transaction. And when a deal is struck and payment needs to be made, the crypto currency deployed by the project will be used. This will avoid the need for currency conversions and expensive bank fees. In general we could conclude that the term , ‘…. bigger the better …. ‘, applies to blockchain technology. Having said that, it will be extremely important to have highly skilled technical minds on the team. 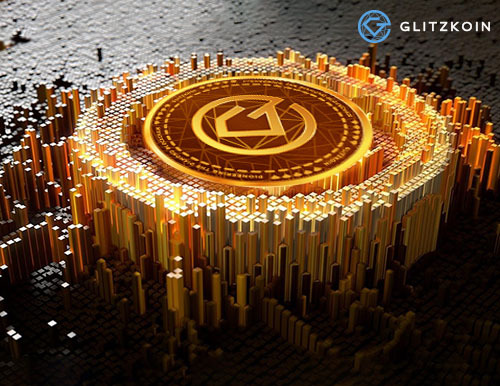 GLITZKOIN is up to the task and poised to bring the first major change to global trade.